Cell therapy, tissue engineering, and gene therapy products, together called “advanced therapy medicinal products” (ATMPs), represent a heterogeneous group of innovative biopharmaceuticals. ATMPs are based on viable cells, tissue, or genetic material. 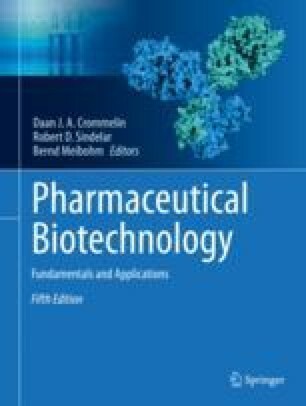 In this chapter, after a brief introduction, first different classification systems of these products are discussed, illustrated with representative examples of products in clinical development or commercially available. Next, the challenges associated with successful pharmaceutical development, manufacturing, and testing of these products are covered. Finally, regulatory aspects are dealt with. Parts of this chapter were taken from the fourth edition chapter 25 authored by Colin W. Pouton.